For the more active adult, GoSafe is the smart choice. GoSafe provides the trusted and reliable access to help that HomeSafe provides, but with GPS technology to now give you access to help whenever and wherever you need it – at home, or out and about. GoSafe also features AutoAlert, the most proven fall detection technology on the U.S. market today. Six location technologies including GPS allow our call center to dispatch help right to your location. GoSafe is our most advanced medical alert pendant. It can do it all: send an alert when you press the button, sense when you fall and send an automatic alert, and provide direct, two-way communication with our highly trained Response Center. With GoSafe, you can get out there and enjoy life with peace of mind. The GoSafe medical alert system is our most comprehensive system, it provides coverage and support wherever you go — whether that’s to the mailbox or on vacation. The GoSafe pendant is light-weight and sleek, making it comfortable for you to wear outside or under your clothes. The GoSafe mobile pendant is complete with AutoAlert, the most proven fall detection on the market. If a fall is detected, AutoAlert will place a help call to our Response Center automatically, even if you can’t push the button. Most medical alert systems rely solely on GPS to find you in an emergency. Philips Lifeline has 6 different ways of locating you in an emergency, all seamlessly built into GoSafe. Having all of these options allows us to quickly identify your location and send the help that you request. Our fully-staffed Response Center is always ready to take your call. 24 hours a day, 7 days a week our professionally trained staff is ready to help in any situation. 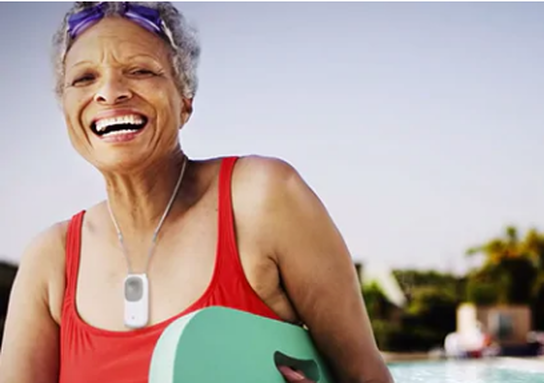 Both the in-home communicator and the GoSafe pendant allow you to speak directly with a Lifeline Response Associate, providing you fast, easy access to help both at home and while you’re away. 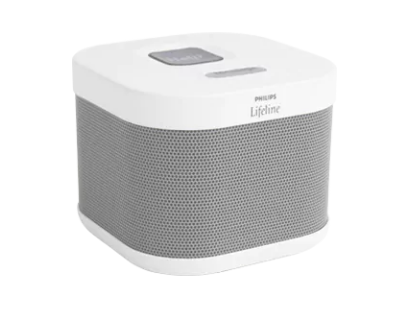 *For AutoAlert calls: in the case of a fall detected signal with no verbal response from the subscriber on multiple attempts, Philips may contact EMS for response. Despite its small size, the GoSafe pendant packs in a ton of technology; GoSafe has everything from AutoAlert fall detection to six advanced location capabilities, to two-way voice communication through the button. It’s waterproof and rugged, yet discreet and comfortable to wear. You can put the button on airplane mode for when you’re traveling in flight. The battery lasts up to 2-3 days on a single charge and can even charge while you’re wearing it. Even though your GoSafe pendant works independently while you’re out of the house, it automatically resumes its connection to the communicator when you’re at home. Don’t have a home phone? We also have a wireless option that does not require any special equipment. Just turn the Communicator on and follow the step-by-step, voice-guided installation process. Or opt for our professional installation service. Up to 30 hours of battery back-up gives you access to help even during power outages.